As many readers will be aware I have spent recent months working on a book project. 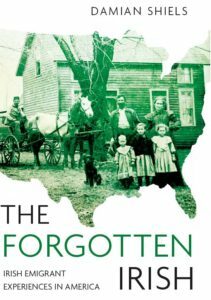 This arose when I was approached by the History Press Ireland to work on a publication which looked at the Irish in the American Civil War, as part of their new ‘Ireland in the World’ series. I have just received page proofs and the proposed book cover from the publishers, so I am excited to say it is entering it’s final stages. 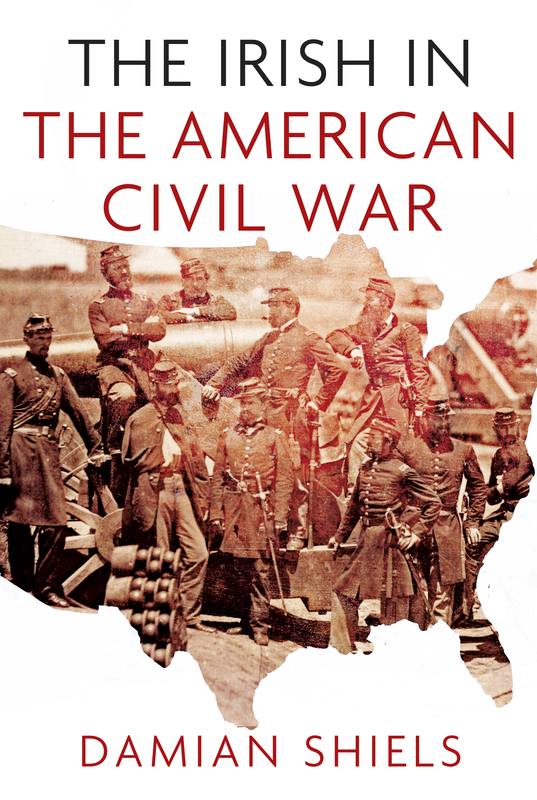 The finished book will be available for publication from March 2013, and carries the title ‘The Irish in the American Civil War.’ It is not a traditional history of the Irish involvement and does not seek to be all encompassing; rather each chapter is made up of one or more personal stories which explore themes under the broad titles ‘Beginnings’, ‘Realities’, ‘The Wider War’ and ‘Aftermath.’ These are intended to give the reader a broader flavour of the Irish experience, both before, during and after the conflict, through the stories of the men, women and children it affected. The publishers have sent me on a jpeg of the cover as it will appear on the final publication, which I can share on the blog for the first time- I hope you like it! I am looking forward to reading it!! Hi Philip, the photo on the book cover is the 69th NYSM, but there are stories from both the North and South inside! It looks fantastic, Damian… I’m sure it will be very successful as you deserve it to be after all your hard work.. Many thanks for the kind words- I hope you are right! Count me in to purchase your book!! Many thanks! I hope you enjoy it! Congratulations, looking forward to reading your book Damien. Good luck! This is wonderful, Damian! Can’t wait to read it when it comes out. Will it be available in the US? Thanks Lois! I am hoping that the ebook version will be available for U.S. readers straight away and it will be on amazon etc. so it should be freely available- I hope you do enjoy it when it does come out! Having had several in that war, both sides, would be very interested in your book when it comes out.